After a year or so of stop/start hillwalking I’ve started this year in determined mood. We will make every effort to get out and about in the mountains…albeit probably smaller mountains. Too many days have been missed through worry about legs/back/dog/weather/long drives…the list goes on. This year’s planning has helped. 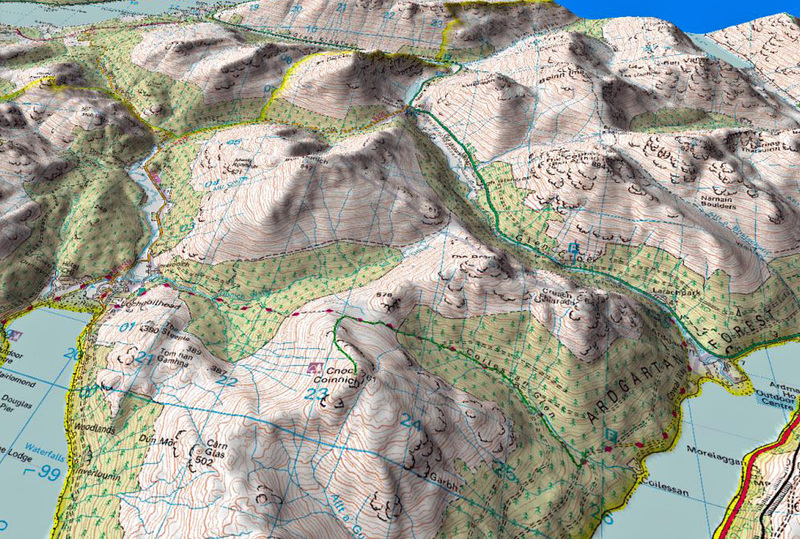 The Map - Cnoc Coinnich in foreground. Things had been going well before the snow arrived in early December. My physio had suggested I adopt a more conservative approach to my walking which basically meant more gentle and relaxed hill days. The Fatdog goes to see her Shrink…well…her brother actually.